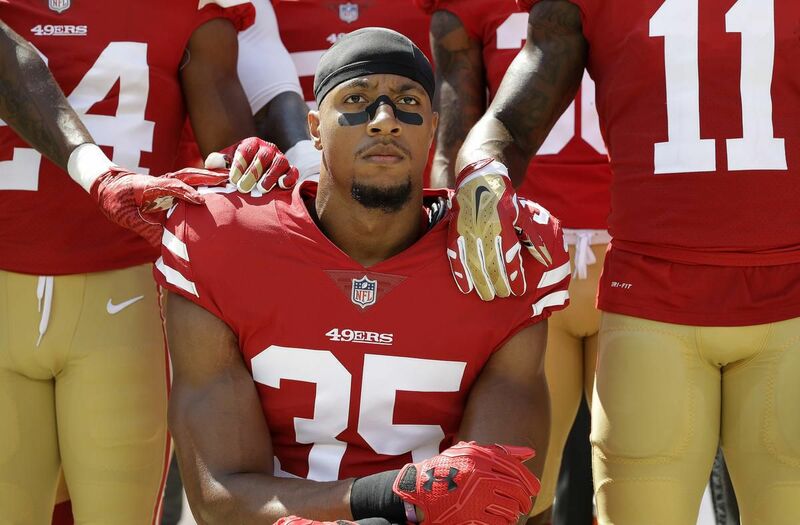 AP | NEW YORK (May 2) —The NFL players’ union says former San Francisco 49ers safety Eric Reid filed a grievance against the league, alleging that he remains unsigned as a result of collusion by owners. 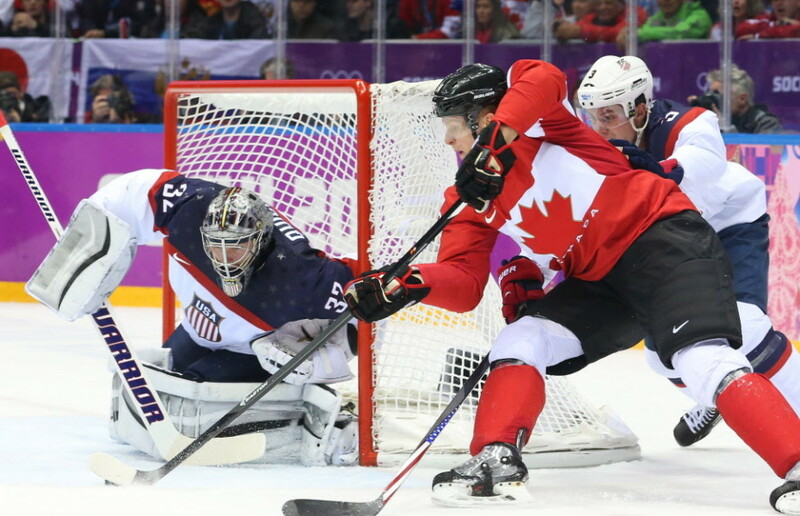 Are sports organizations playing a role in America’s obesity problem? An American athlete, Colin Kaepernick, has taken a just stand. 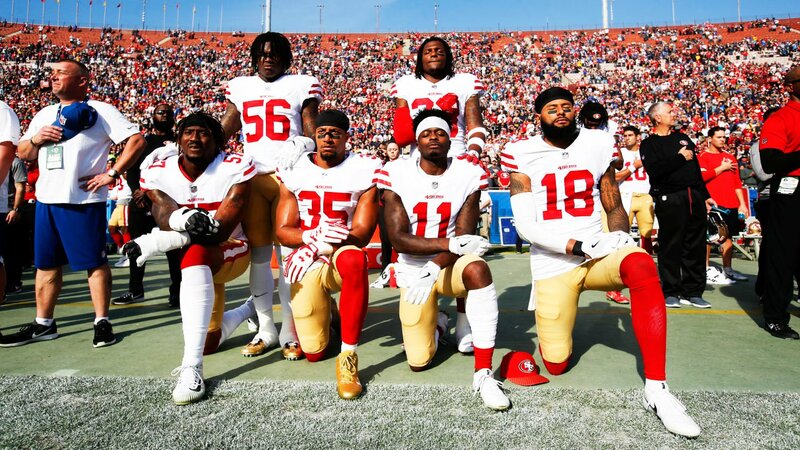 “I am not going to stand up to show pride in a flag for a country that oppresses black people and people of color,” Mr Kaepernick, a quarterback with the San Francisco 49ers, told NFL Media in an interview after Friday’s game during which he again rightly refused to stand at attention during the playing of the U.S. anthem accompanied by a military flypast. “To me, this is bigger than football and it would be selfish on my part to look the other way. There are bodies in the street and people getting paid leave and getting away with murder. SEEMINGLY out of the blue, the National Hockey League (NHL) based in New York sent their fabled Stanley Cup trophy to Sochi. The media slavered when it made its appearance at Canada House on Monday, February 17th. The iconic silver trophy had seemingly fallen from the sky or appeared as if a gift from the gods of sport with a spiritual significance comparable to a burning bush. In the media euphoria, Canadian Olympic members were organized to pose with the trophy and world champion figure skater Patrick Chan to bless it with a kiss. Far away from U.S. Major League Baseball’s mighty salaries and Hollywood glitz, thousands of minor leaguers – over 50 per cent of Latino origin – survive on baseball earnings below the federal poverty line and face a broad assault on their rights. They are forced to fend for themselves: “The starting salary for a first-year professional player, paid only during the regular season, is US$1,100”; a 60-hour work week is routine.